Gore fans reduced to blaming the distributor. 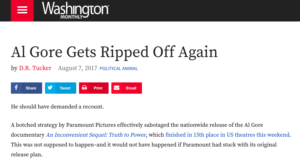 ‘A botched strategy by Paramount Pictures effectively sabotaged the nationwide release’ of Gore’s sequel. 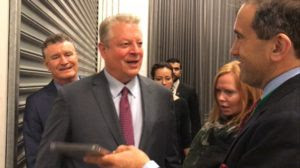 “By filling theaters, we can show Donald Trump and the other climate deniers in the White House that the American people are committed to climate action –– no matter what they do, say, or tweet!” Gore wrote in an email alert sent to his supporters on Friday August 4th, the day of his nationwide opening. “CO2 is not the villain that it has been portrayed. I’m impressed by the fact that the present climate, from the perspective of a geologist, is very close to the coldest it’s ever been. The concentration CO2 in the atmosphere today is the close to the lowest it has ever been,” Giegengack explained in “Climate Hustle”. 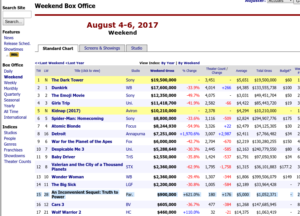 Gore fans like Tucker are now reduced to blaming the distributor for the sequels disappointing box office.